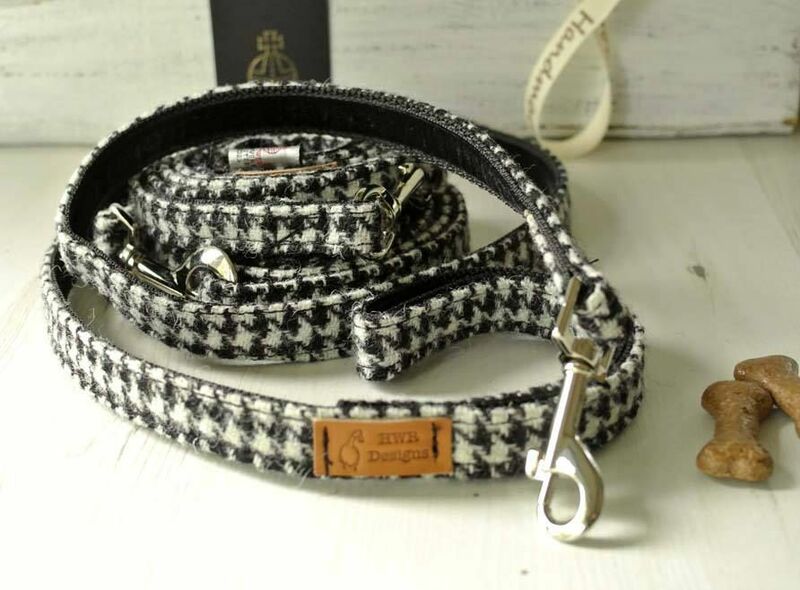 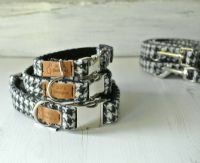 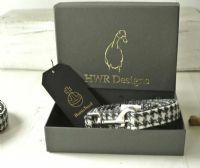 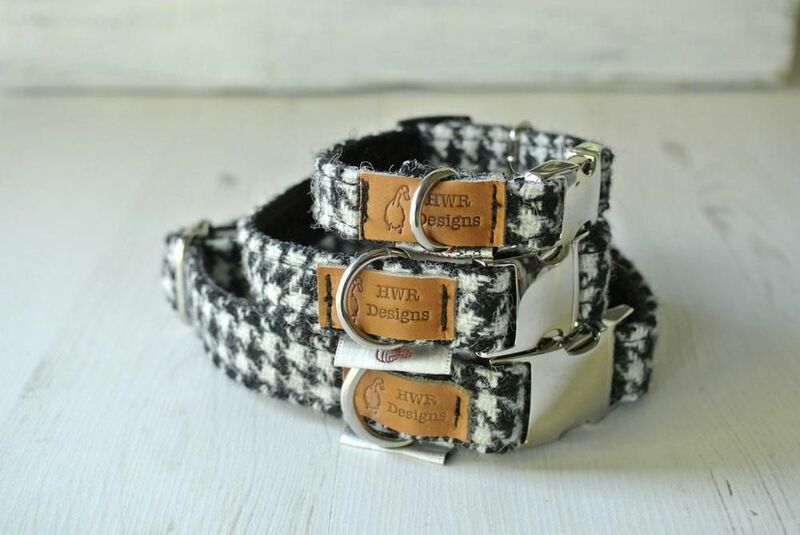 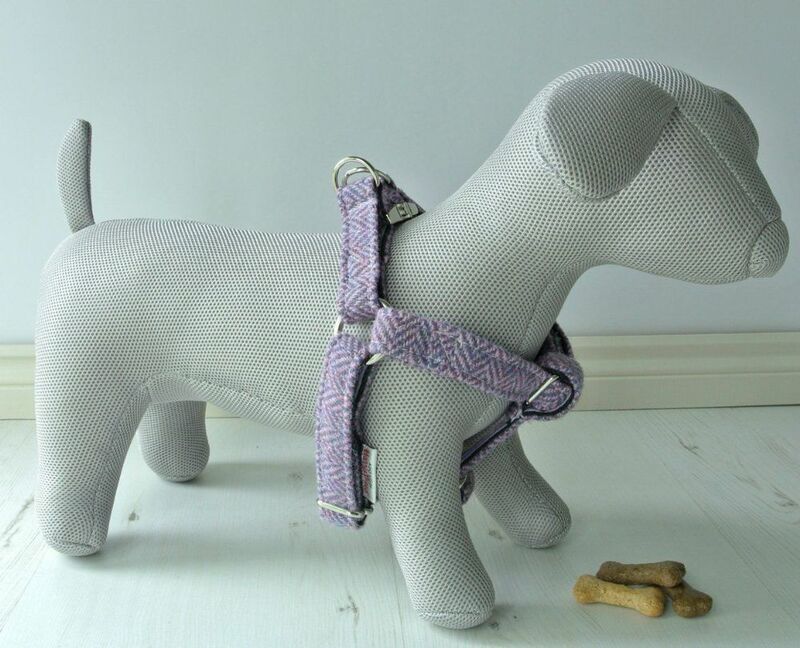 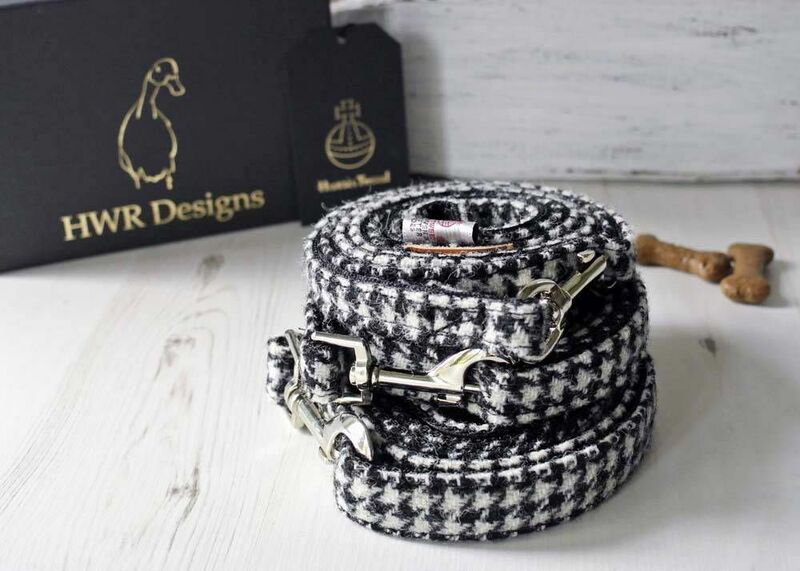 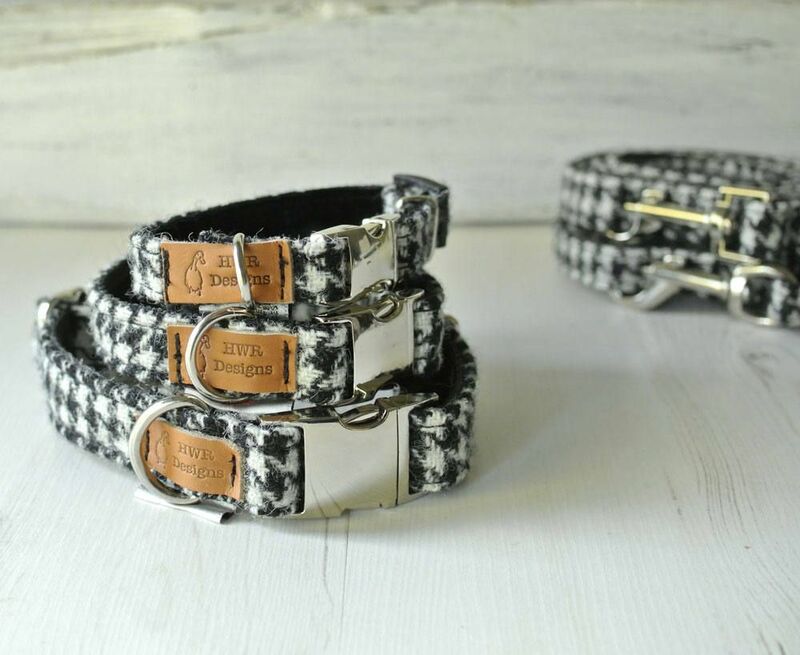 Beautiful Harris Tweed Houndstooth Check dog leads in 3 sizes to match the widths of my matching tweed collars in iconic black and white Houndstooth weave. "The Orb Mark is your guarantee of genuine Harris Tweed cloth. 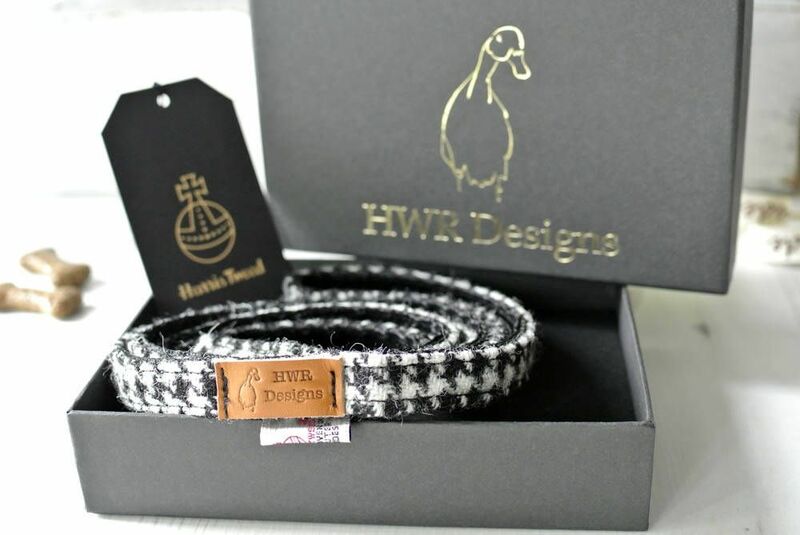 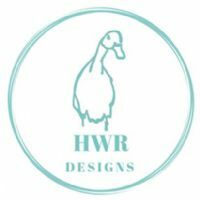 Protected by the 1993 Harris Tweed Act of Parliament, Harris Tweed must be made from 100% pure new wool dyed, spun, handwoven at the home of the weaver and finished in the Outer Hebrides of Scotland."